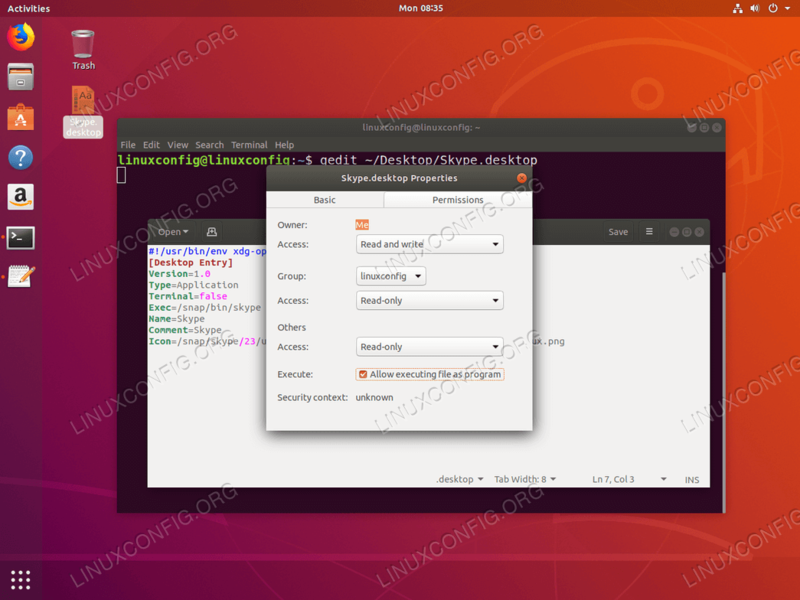 The objective is to show how to create desktop shortcut launcher on Ubuntu 18.04 Bionic Beaver using the default GNOME user interface. 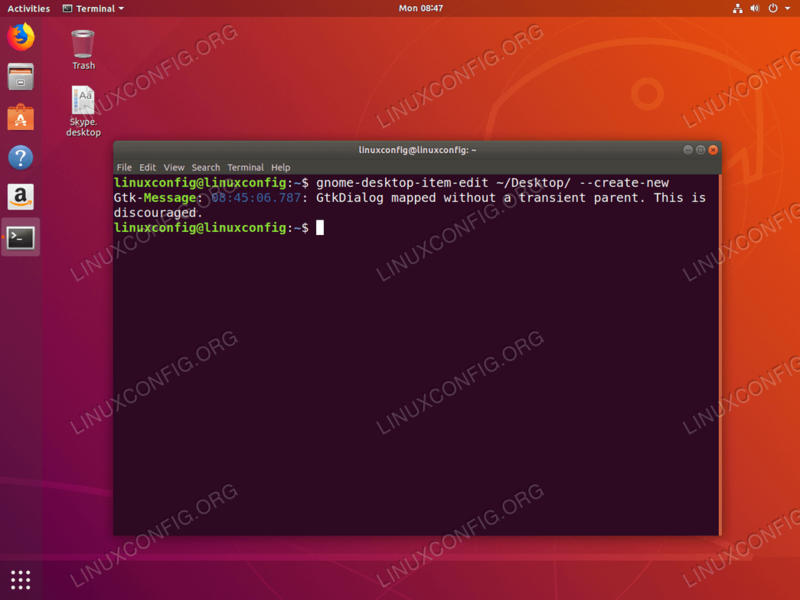 Privileged access to your Ubuntu System as root or via sudo command will be required to install new software. 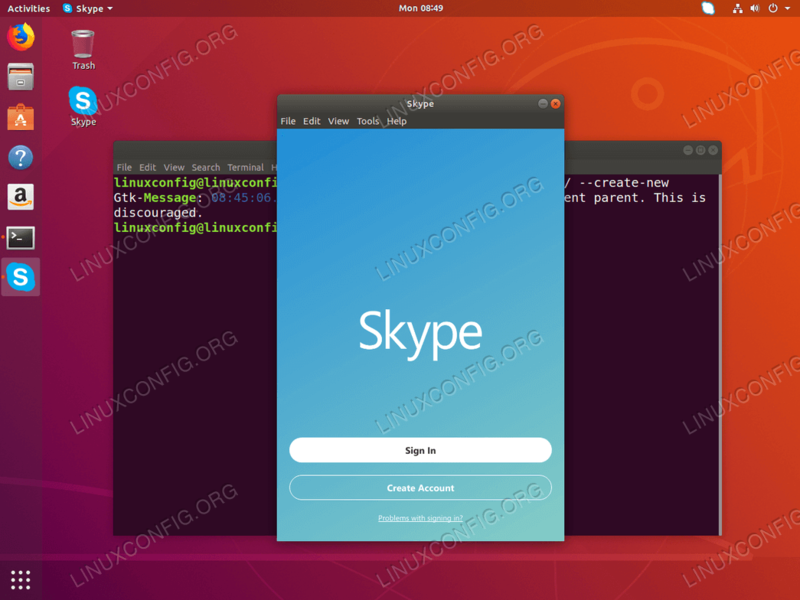 In this tutorial we will be creating an example desktop shortcut launcher for Skype application installed on Ubuntu 18.04. 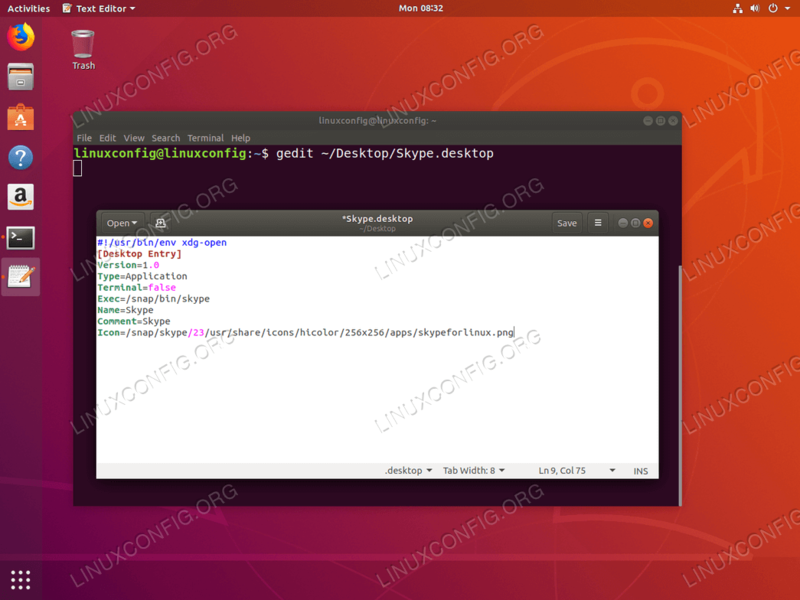 First, this guide will show you how to create the desktop shortcut launcher manually while the later example will use application gnome-desktop-item-edit command to simplify the desktop shortcut launcher creating process. In regards to the application icon, the choice is yours. You can either head over to /usr/share/icons/hicolor/ directory and search for any relevant icon to use, or simply download new icon from the web. Now that we have all the necessary information, create a new file Skype.desktop within ~/Desktop directory and paste the following lines as part of the file's content. Change the code where necessary to fit your application specific details. Use any text editor and enter your Desktop shortcut code. Once ready hit Save button. The new shortcut will appear on your desktop. Next step is to right-click on the new icon, select Properties-->Permissions-->Allow executing file as program. 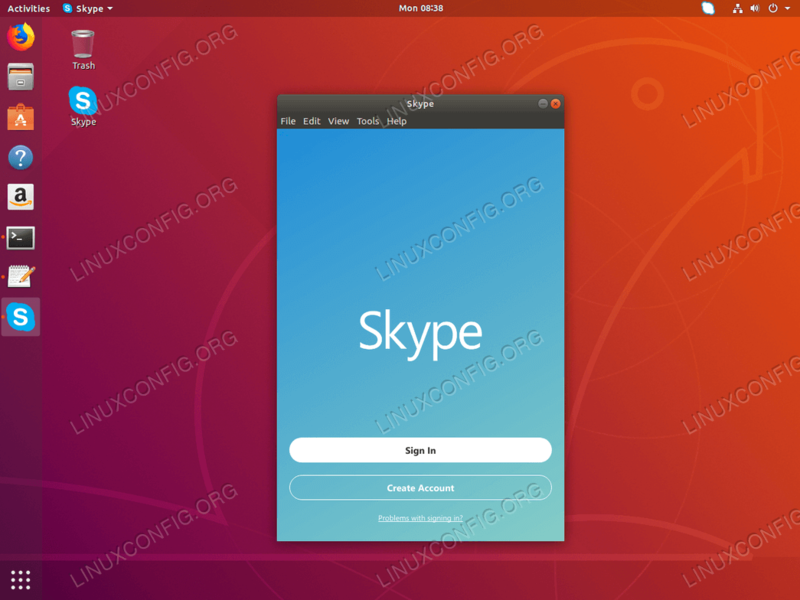 The application launcher "Skype.dekstop" has not been marked as trusted. If you do not know the source of this file, launching it may be unsafe. Almost there. Now double click on the new icon and hit Trust and Launch button. 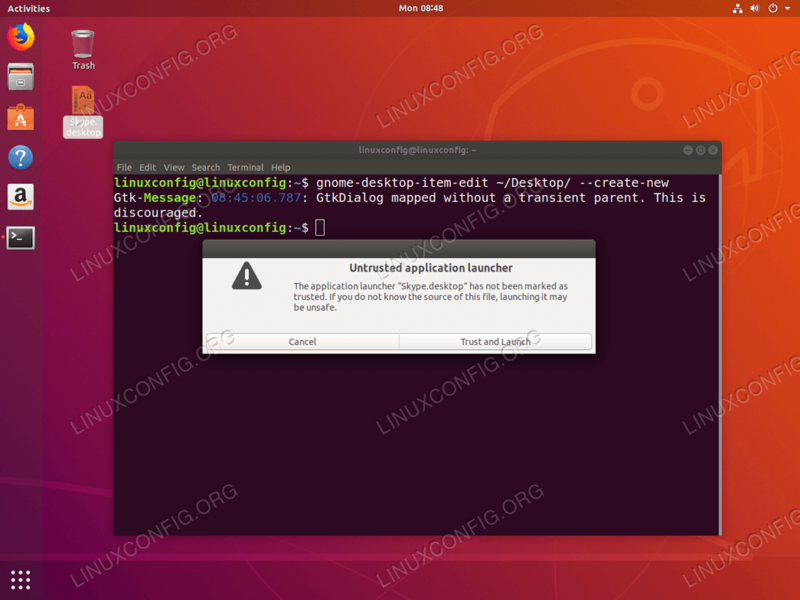 Fill in all required information and hit OK button. At this stage the new shortcut will be created on your Desktop. Now double click on the new icon and hit Trust and Launch button.